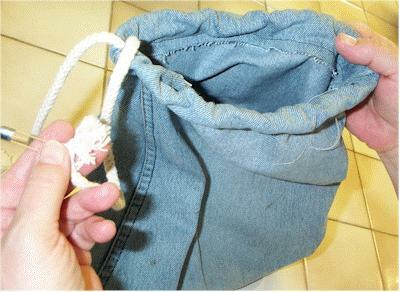 One practical item is this great tote bag made from an old pair of denim jeans. 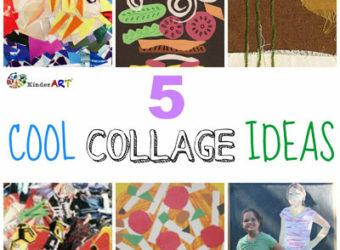 Go ahead, have some fun with your kids and create a masterpiece together! 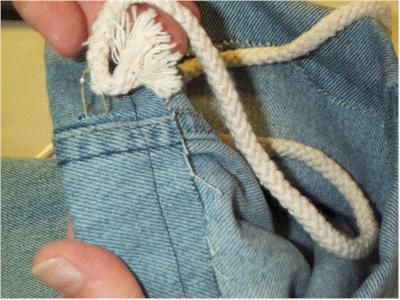 One pair of large old blue jeans – preferably with a pant leg width of 8 to 12 inches. A paint brush (number 6 size will work wonderfully, but any small brush will do). Fabric paint in the following colors: white, black and peach. A piece of draw string (cotton cord) or sturdy boot lace: 28 inches long. 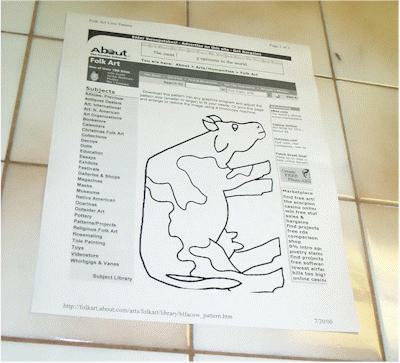 A printed copy of the folk art cow pattern found HERE. You should feel free to paint whichever design you choose. 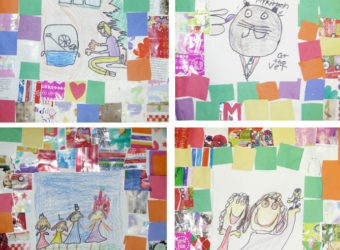 You can find many more patterns at KinderColor or the Folk Art Life Free Patterns page, or, come up with your own design. Smooth out the cut fabric. The length should be about a foot or so. 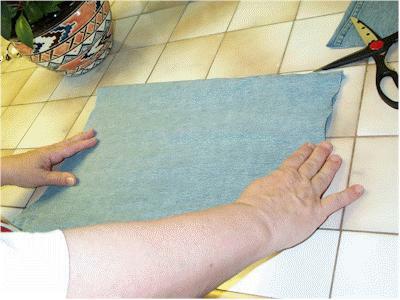 Turn the material inside out and fold the narrow end over about one and a half inches. 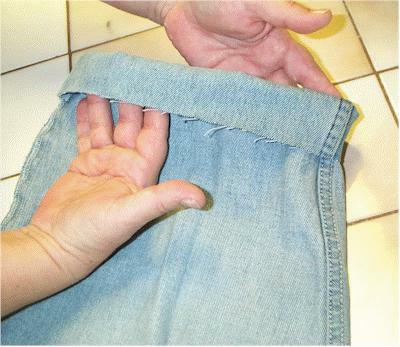 Use a sewing machine to sew around the folded edge. 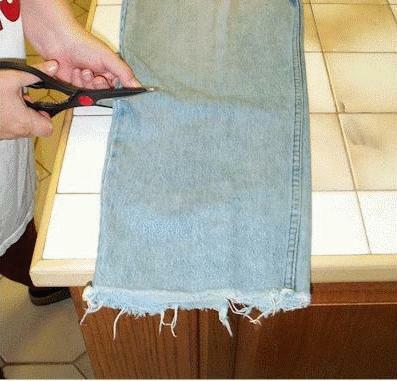 You can also do this step by hand if you don’t have access to a sewing machine. 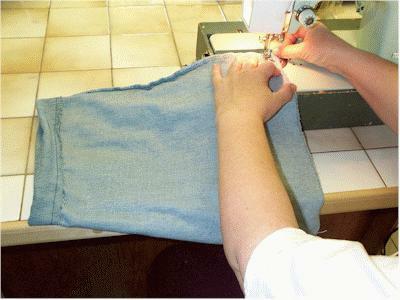 Now sew the widest part of the pant leg, making the stitches about half an inch from the cut end. Do this twice (for strength) as this will become the bottom of your bag. 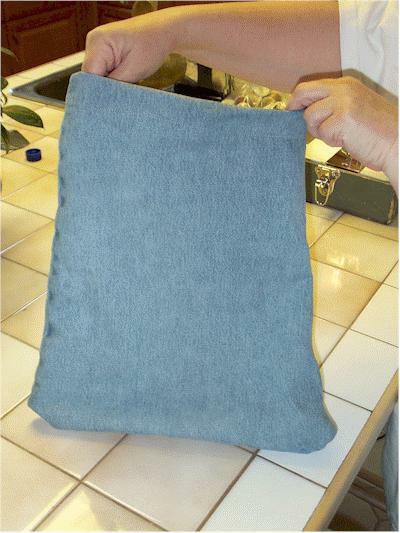 Turn the sewn product right side out. 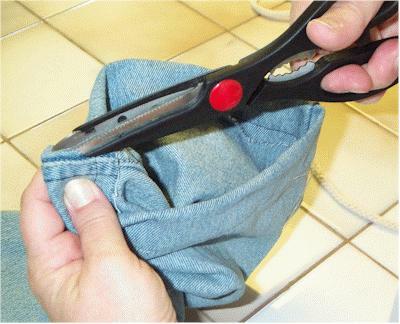 With the scissors, make a small cut on the inside of the folded material so that you can add a drawstring. Take your safety pin and fasten it to your lace or draw string. 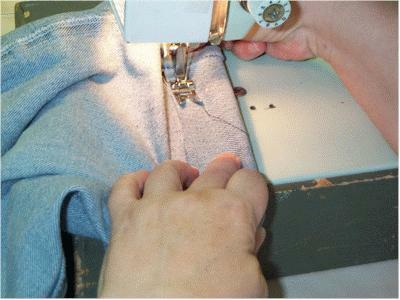 Now push the closed safety pin through the opening you cut with the scissors. Work the string all around the top of your bag by grabbing onto the safety pin through the material. 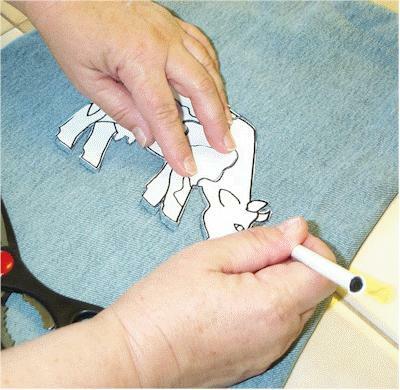 Print off a copy of the folk art cow pattern and cut the cow out using your scissors. 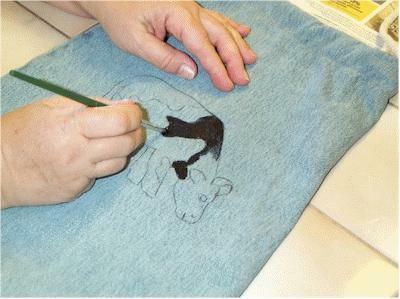 Place the cow pattern/template on the tote bag and trace around the outside using pen or pencil. 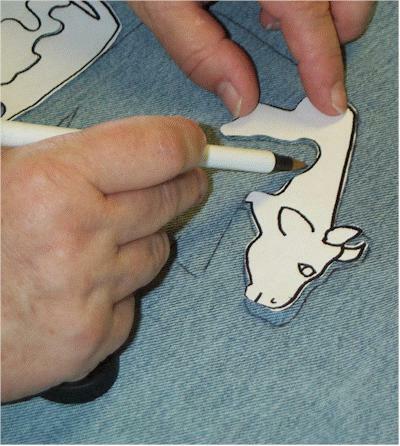 Cut the pattern along the lines so that you can trace in the details of the cow. 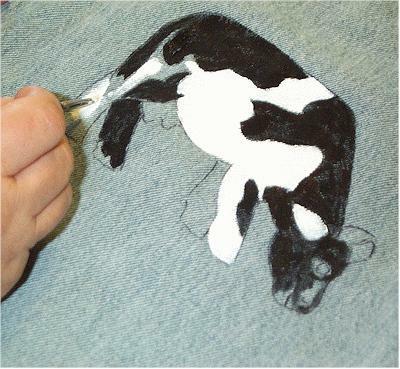 Using your fabric paint and brush, paint the black areas of your cow. 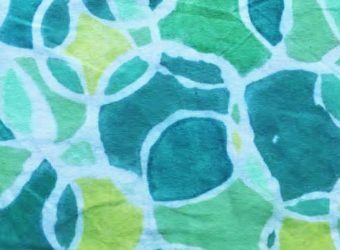 You can use regular acrylic paint but if you want the ability to wash the tote bag, you will need to use fabric paint. Paint the white areas and finish with the peach on the udder. Clean up any edges. You have just created the greatest Folk-Art Tote bag ever. 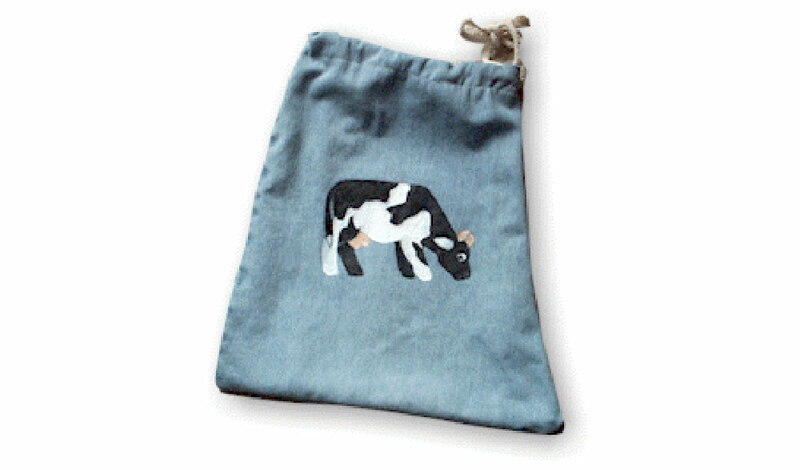 Use it for books, running shoes, or even lunch! 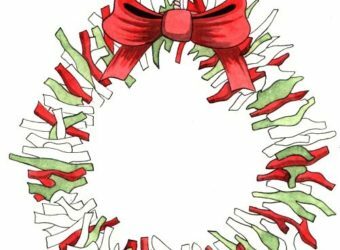 This post originally appeared on Folk Art America.